Day 13. 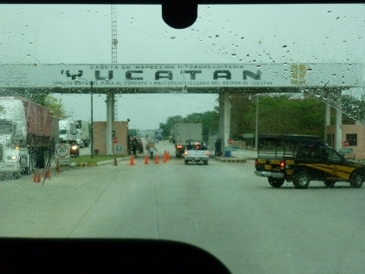 An eight hour bus journey to Merida would have sounded like an ordeal at the start of our tour but is now a walk in the park for us. Having said that, Annie took the precaution of injesting every bowel-plugging drug known to the Meso-Americans so as not to need a trip to the fragrant “bus-loo”. 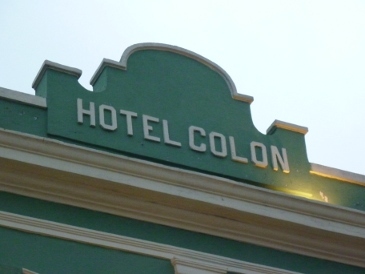 We checked into the Hotel Colonial right opposite the confusingly similar sounding Hotel Colon (which would have been more appropriate for Annie today). It was a Sunday evening, enough excuse in Mexico for organising a street party. Annie was whisked away by an elderly but agile gentleman for her first Mexican Latino dance lesson. Thankfully the cocktail of bowel-plugging drugs were still in effect. Her teacher was quite strict and told her off whenever she put a foot wrong. My memories of colon are linked with sigmoid and colectomy. Teach your teacher how to Belly Dance, Annie!